Episode VI, Scene III of NTMTO! 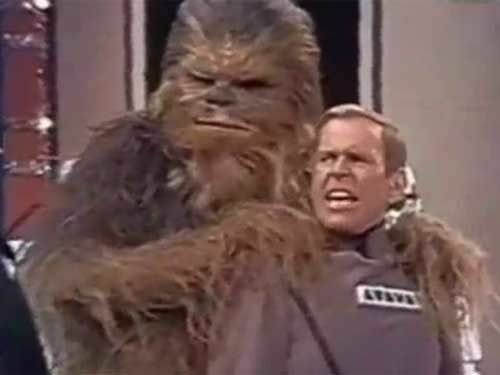 - "Paul Lynde & The Harvey Fiersteins"
The Despair Saga draws to a close with Episode VI - The Voice in the Abyss! The wild rancor has been dealt with... and Grango's Garrison is the worse for the wear. Meanwhile, a message from Mon Mothma herself arrives, summoning the crew to the heart of the New Republic for dire news.